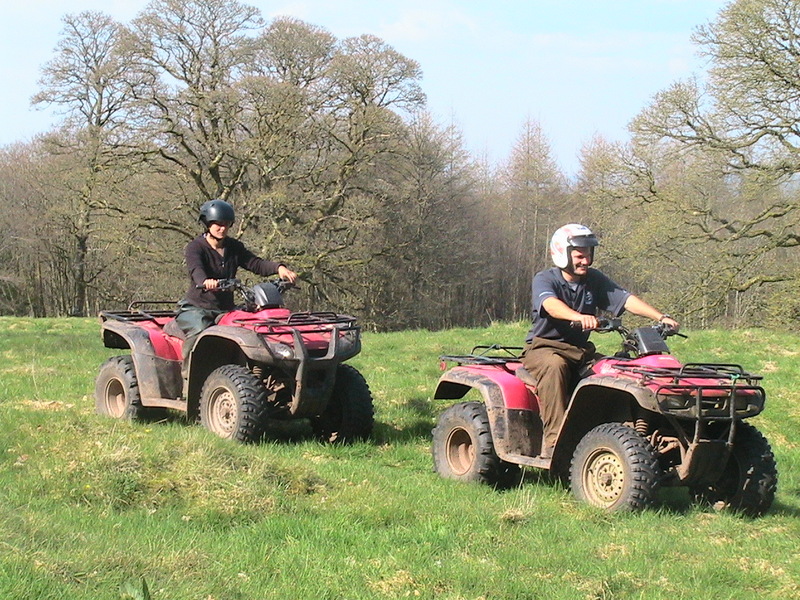 Quad biking can be great fun and, here at Kirkwood we offer to take guests on a quad bike tour of the farm. You’ll get a feel of how a real farm works and see farm animals – we may even ask you to help us move stock. You can enjoy views of the countryside that you wouldn’t normally see and this is a real hands-on farm experience. We’ll provide you with a helmet for safety and the controls are relatively easy to master, even if you don’t drive. All we ask is that you listen, take care and enjoy yourself. 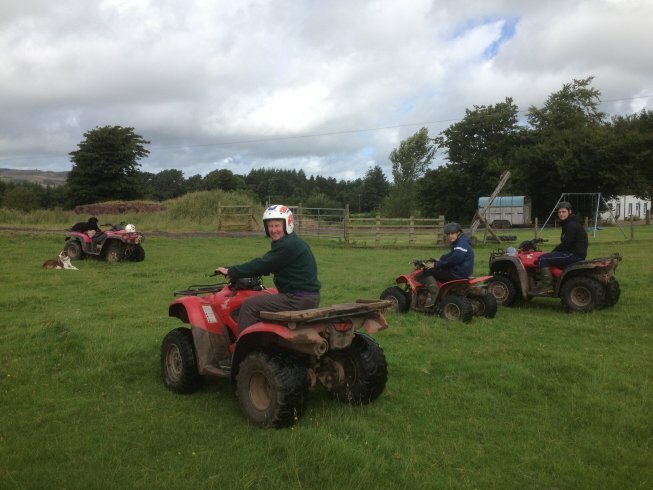 This is NOT an adventure/thrill seekers activity, it is a genuine farm experience and safety is absolutely paramount so we will not take too many youngsters at once and we will start on a 90cc bike. You will be given a safety lesson and anyone who disobeys safety instructions will be stopped immediately without refund. Places are strictly limited, so you’ll need to book your place and pay before you arrive. Quad biking is not the cleanest (but it’s got to be one of the most enjoyable) of pastimes, especially if it’s been raining, so wear clothes and shoes that you don’t mind getting a bit muddy. 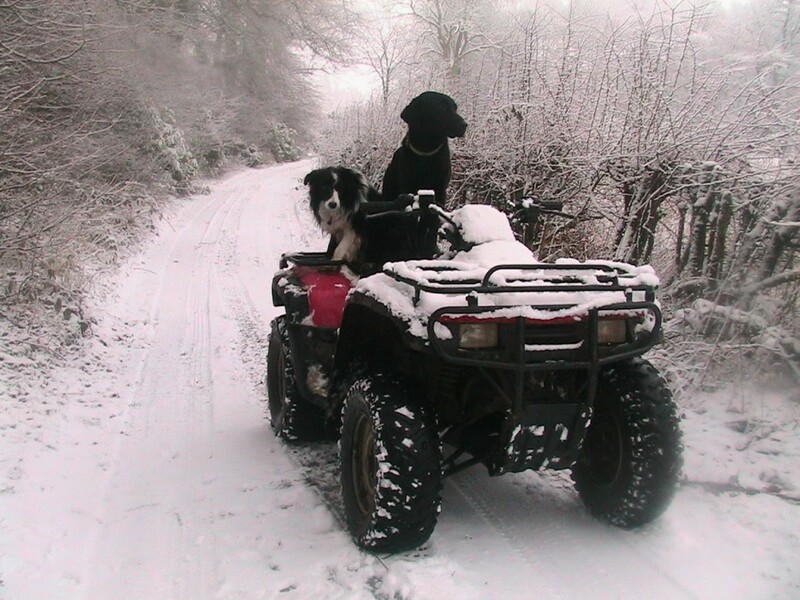 Unfortunately, due to insurance restrictions we are unable to allow children under the age of 12 to go quad biking. We reserve the right to charge more on days that are not regular days. Single person supplement £10. Warm kit and clothing can be extra if hired.